In agriculture, it’s always Unimog season. Agritechnica 2017: efficient mowing operations with the Unimog and Mulag. Contractors and agricultural service providers know that they can effectively reduce their costs if they can use their vehicles in the low season too. For example by using them for winter service work or for the maintenance of green areas. One clever solution will be presented at Agritechnica in Hanover by Mulag on the basis of a Unimog U 529 in its agricultural version with Euromot IV specification. Intelligent implement control with Mulag. m|pilot is the latest ergonomic joystick control which Unimog ExpertPartner Mulag has developed. This joystick makes it possible to operate up to six proportional functions on a single level. Simple switching allows two booms to be controlled and the device thus greatly simplifies working processes for operatives. The innovative controls from Mulag will be on show at Agritechnica 2017 in a Unimog U 529. The green assistant with Euromot IV engine features the new MKF 600 front boom combination with side verge mower and mowing boom. The advantage: tree-lined grass verges and green areas around safety barriers will soon be better maintained thanks to the independent lateral shift of the boom and side verge mower. 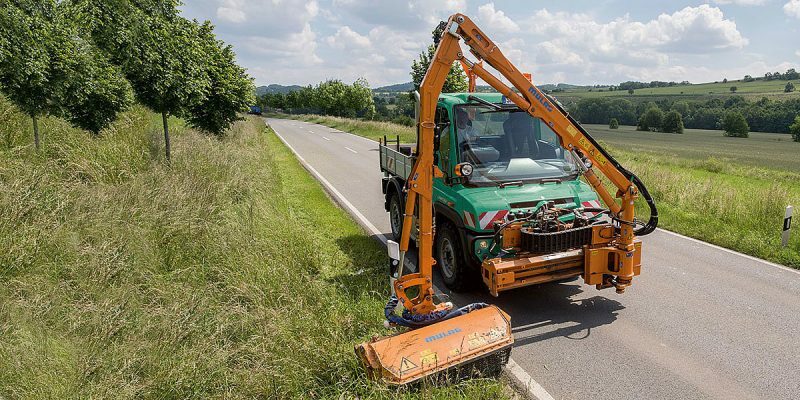 Even on large sloping embankments or when cutting clearings, the new Mulag mowing combination on the Unimog base vehicle can be used particularly effectively. The Unimog U 529 is on show for visitors of Agritechnica 2017 at the Mulag stand in hall 26, stand H13. 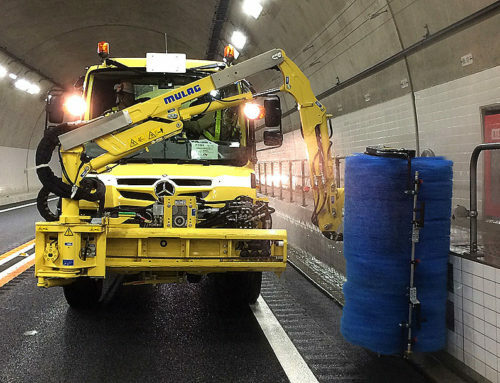 Efficient deployments, even in the cold months of the year: Unimog keeps the roads free in winter. 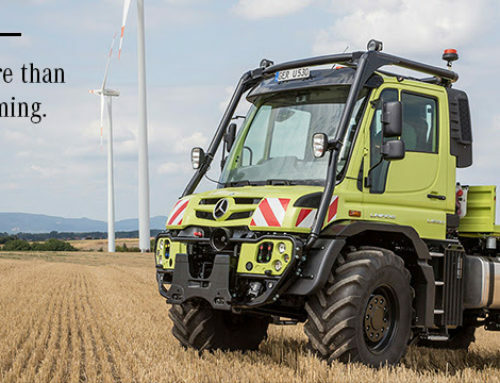 Unimog and agricultural technology go hand-in-hand. 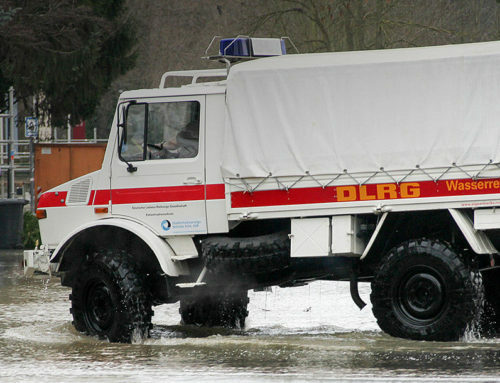 That’s because, ever since the first model, the Unimog has had strong agricultural genes. The all-rounder was developed 70 years ago as a universal motorised implement for agricultural applications. Would you like more information on the Unimog for agricultural applications? Particularly in modern agricultural applications, vehicles are needed which can be used flexibly and which can be equipped for specialist operations such as crop protection. 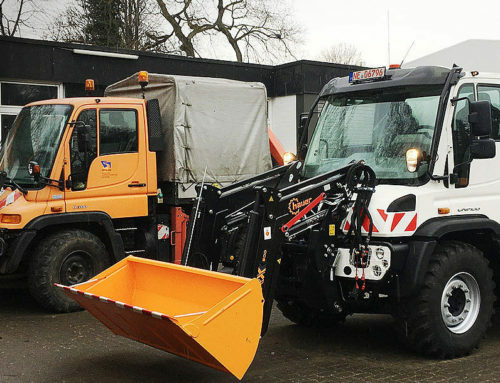 Thanks to the voluminous traction tyres, tyre pressure control system and greater transport capacity, the Unimog as a tractor unit, transport professional or implement carrier is a reliable partner. When used as an agricultural or forestry vehicle, owners benefit from respectable financial and practical advantages such as cheaper insurance tariffs and agricultural diesel prices. 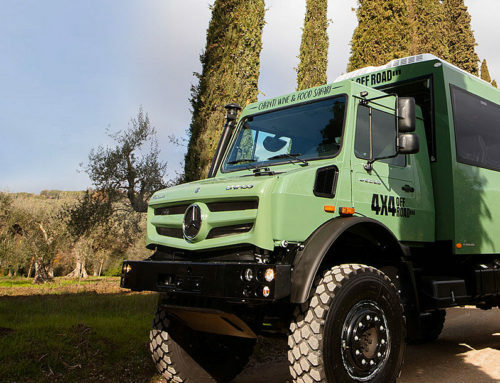 And even when used in forestry applications and municipal services, the Unimog is impressive. Its broad scope of uses ensures high levels of vehicle utilisation. And thus efficient operations. Agritechnica puts agricultural technology innovations on show. The most modern of solutions and concepts for the future of crop production: that’s what Agritechnica in Hanover is all about and it’s the leading exhibition for the sector worldwide. From 12 to 18 November 2017, more than 2900 exhibitors from 52 countries will be presenting the latest technology for professional crop production. The exhibition will also feature an impressively diverse programme of events. The Unimog on Safari in Tuscany.